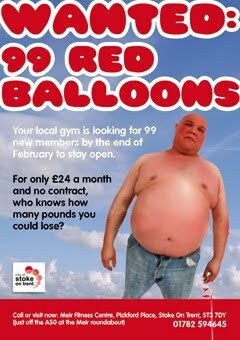 Well, there are two bits of good news on the ‘save our gym’ campaign that I’ve recently been involved with. The first is that the council have given us a ‘stay of execution’ of six months to start to generate a profit. The second bit of news is that the efforts of the Friends of Meir Gym committee of which I am a member, are already reaping rewards. Our target is for 99 new members within 6 months and we have already generated over 60 new memberships. Community marketing at its finest! Plus, thanks to copywriter Richard, we’ve got a fantastic campaign ready to launch.